As promised, here are some predictions for E3, which is kicking off today and getting into full swing next week. Let us start with what I know. A big publisher will present a very promising peripheral for Wii. You might think that all sensible peripherals have been done, but not quite. This one could become quite useful. And, surprisingly, the publisher has managed to secure the support of other publishers for it, I am told. So this one will not gather dust as soon as that ´Tony Hawk Ride´ board, they hope. I will only give you a cryptic hint: the peripheral will enable some seminal DS games to be adapted to Wii better than would otherwise have been possible. A cryptic hint, like I said. Anything dawning on you? Moving on to speculation, I very much expect that Nintendo's big announcement will be something other than the 3DS. All too willingly, the company announced the 3DS prior to the show. So, in my mind, there is a far bigger gun to be brought out or, at least, there is some aspect to the new handheld that people have not expected. Again, this is not based on what I have been told, but it is what I suspect. As far as Capcom expecting Nintendo to mimick their App Store is concerned, I do not see this happening. Both WiiWare and DSiWare are superior platforms for digital distributions, in my mind. I have been playing around with an iPad for the last few days and have been astonished at some of the basic features missing from the App Store. Apparently, if you browse all titles, say, in the category games, you cannot filter the search results further by price or any other criteria. By comparison, WiiWare is much easier to browse through. I am not ruling out changes to Nintendo's digital distribution agenda, but I do not see them copying Apple. In my mind, Apple needs to copy everyone else. But that is another story. Also, Sony's PSP Go flopping so badly will send clear signals to the industry at large. I also predict that Nintendo will reveal the new ´Legend of Zelda´ game to heavily utilize the vitality sensor. The peripheral is the most underrated idea, I am sure. While most game journalists seem to have forgotten about it entirely, I envisage that the sensor has the potential to become a milestone of videogaming. For the first time, you will not influence a game by pressing a button, saying a word or waving a controller - you will influence the game by how you feel. And Link lacking a sword in that infamous teaser image may be indicative of just that: you will fight your foes not with traditional weapons controlled by a mundane button or movement, but with your heart rate, perhaps triggering a more esoteric type of attack, like some kind of magic. I have made my predictions exclusive to Nintendo because I do not see Sony or Microsoft revealing anything revolutionary. We have seen and played both Move and Natal. We will learn far more details about both and see a number of titles for them. But I do not see either company revealing new hardware of any kind. Moving back to hard facts, there are two exclusive tidbits of information I have not yet made public, unrelated to the E3. They are nothing earth-shattering, but some of you might find them interesting in some way. Firstly, Nintendo really has been offered the ´Project Natal´ technology prior to Microsoft and refused it, as some other insiders have claimed. This refusal has been officially discussed at internal Nintendo of Europe meetings, I can reveal. The second interesting fact is that some people have claimed that the ´Metroid Prime Trilogy´ did a good job of upgrading some of the textures of the first two parts from GameCube to Wii standard. In fact, the very opposite is true. In order to fit all three games onto one disc, Nintendo had to reduce the textures on at least some of the titles. This may or may not be related to the decision to take the trilogy off the market. Like I said, these tidbits are nothing spectacular. But they may be worth knowing to some of you. Who knows. Anyway, enjoy the E3. This will be another huge one, for sure. And I suspect Nintendo will steal the show, after rather humble offerings over the last years. Big anouncement not related to 3ds? lol? 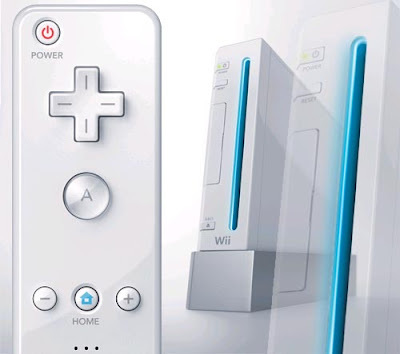 What do expect then wii 2? Lol! Dude a 3ds new zelda + more secret titles is as big an anouncement as it gets! I mean what more could you possibly want? Wii 2 at e3 this year!? You are crazy if thats what you are playing at. I think Falafel could be right. Ninty always has an even bigger unexpected announcement. @the wii fanatic. God you are annoying. There are great games on all platforms of course. You are missing out on a lot of superb stuff like Alan wake for example dude. I'm guessing you're underage...maybe the time will come when you grow up and learn to appreciate great software regardless of the platform it gets released on. x360 slim COUGH black wii wanta bee!!!!!! Once I see new Zelda my life will be complete. "slash"! 9 hrs to go woopee. kinect is just as lame as ever, MS bombed this year. Nintendo had a good show but skyward sword looks a bit iffy to me, i don't care much for the art design. The 3DS looks freaking awesome though. Sony, good conference, i'm excited to see what games will be brought to steam. Having gabe newell on stage was a HUGE surprise. Absolutely nothing on the vitality sensor. Has Nintendo dropped it? The Kirby & Donkey Kong games look like fun and they are coming in 2010. I'll definitely be buying those games. I thought Nintendo did really well this year. Lots of high quality games and the 3DS sounds great. I can't wait to see a 3DS in person. Sony was okay. LBP 2 looks great. Move looks like a a wii ripoff, but at least it works ok.
MS was bad. Kinect isn't going to work for most games. It might be good for DDR, but thats about it. Wait - you think the WiiWare purchasing/browsing method is better than the App Store? You've got to be kidding. Don't get me wrong, I love the Wii and some of the products available on WiiWare, but it is a huge mess in terms of ease of use. Organizing a few hundred titles is a lot easier than organizing 100,000 titles. Especially when the few hundred are ALL games. I'm not saying the App Store doesn't need improvement - it does - but to think that Nintendo's method is better is crazy talk. Navigating menus with the WiiMote vs a keyboard+mouse or your fingers? The WiiMote loses badly. Entering payment info on the Wii vs your Mac/PC, iPhone or iPad? Wii loses again. Just a quick comment regarding Nick's entry. Please tell me how you can filter search results in the App Store. I believe you cannot. You can click on the category games, but if you want to filter those search results by price or date submitted, you cannot. Is that not right? And you are trying to tell me that that is ease of use? Any search tool is better than that. Any. Man the 3DS has been getting so much attention recently its unreal. I can't wait for it to be released. I hope all the rumors are true. This is my first time to visit here... So first I would like to say thanks for sharing with us... you have given the good information to here... Good job. This is really nice site and i like this. here i found many important things. i appreciate this site and suggest it to all.